Lily Chow continues to celebrate the long history of Chinese in small towns and rural areas. 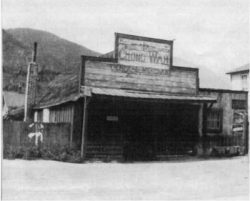 Lily Chow visits remains of the gold rush-era Kwong Lee Company store in Yale. Darwin Bearg photo. 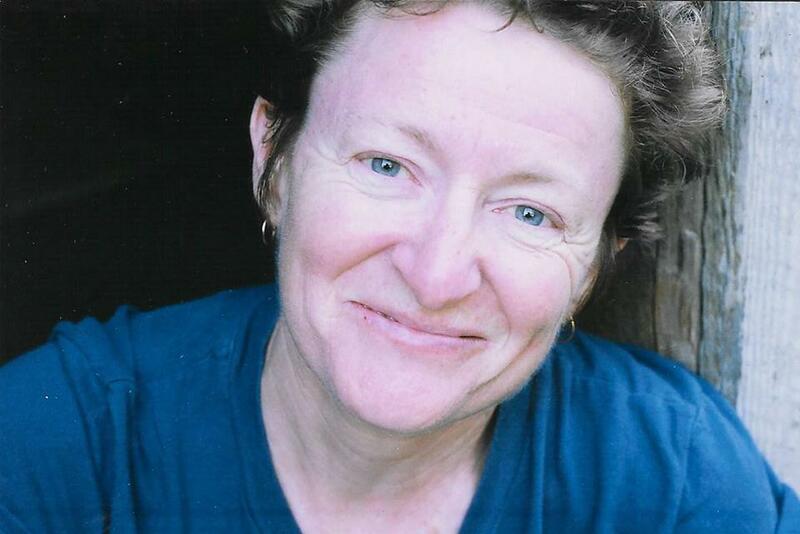 Her third book from Caitlin Press, Blossoms in the Gold Mountains, pays tribute to Chinese settlements in the Fraser Canyon and the Okanagan. 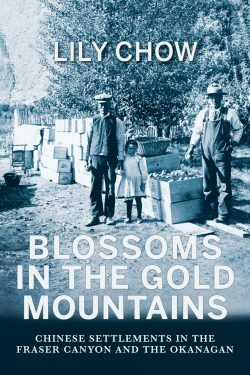 Lily Chow’s Blossoms in the Gold Mountains is the culmination of a series of popular, accessible, and groundbreaking histories of the Chinese in British Columbia published to acclaim by Caitlin Press. Before Chow’s books about the Chinese in northern B.C., Sojourners in the North (1996) and Chasing Their Dreams (2001), the long history of Chinese in small towns and rural areas had been relatively forgotten or ignored. As a high school teacher in B.C.’s interior, Chow travelled in her spare time, noting the Chinese Canadian cafés that dotted every small town in B.C. and across the Prairies, the Chinese names on headstones in cemeteries, the traces of a presence that had declined in the years after the Second World War. Herself born and raised in Malaysia, perhaps Chow noticed something that others had not, or surmised a pattern that others had dismissed as a curiosity or an anomaly. From the lone Chinese cook at a mine or logging camp, or the only Chinese Canadian family in a town who happened to own the store or café or laundry, the appearance of the Chinese in small town B.C. was easily ignored or unnoticed. In Malaysia, it was a common pattern for ethnic Chinese to be clustered in cities such as Kuala Lumpur or Ipoh or Georgetown (Penang), with small numbers of Chinese families running local businesses in rural areas and small towns. Lily Chow noticed that B.C. had a similar historical pattern, and yet the wholesale shift of so many Chinese in rural B.C. in the mid-20th century from small towns to Vancouver had left only traces of their presence in the places she passed through as a teacher. The migration from small towns to cities reflected a broader 20th century rural-to-urban shift within Canada in general, and simultaneously the opening of new opportunities for the younger generation of Chinese Canadians after 1947, when re-enfranchisement and the quiet dismantling of white supremacy meant a long-denied ability to enter white collar professions, including medicine, dentistry, accounting, and law. With full citizenship rights restored — the vote had been taken away from Chinese and non-whites as one of the first acts of the B.C. legislature in 1871 after the colony joined the Dominion of Canada — Chinese Canadians were finally able to aspire to a living beyond the mostly manual labour to which they had been restricted by legislated discrimination. Those opportunities meant moving to the universities in the big cities, and a common feature of the first half of B.C. 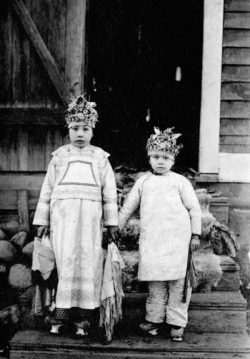 history – of the Chinese in labour, laundries, and food services in rural and small town Canada – was gradually forgotten. 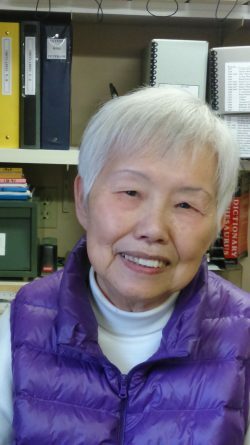 We owe a debt of gratitude to Lily Chow for telling us the stories of the Chinese in northern and interior B.C. in her earlier books. 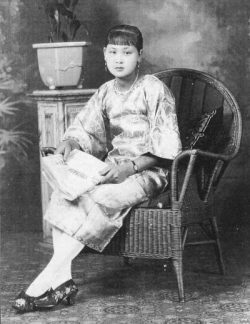 Like them, Blossoms in the Gold Mountains is based mostly upon oral history interviews supported by written traces of the earlier Chinese presence found in old newspapers and local records. 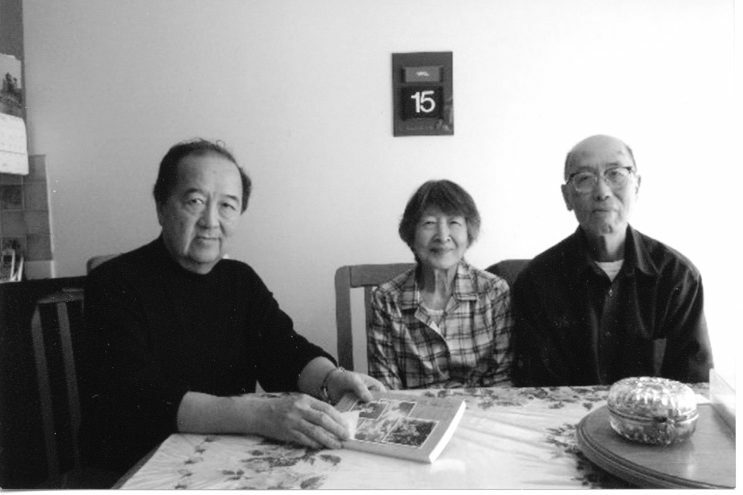 These accounts provide perhaps the most compelling means of tracing family stories through the transition between the pre- and post-1947 eras in Chinese-Canadian history. Chow concentrates on a few families who are inextricably tied to the history of particular towns, such as the On Lee family in Yale and the Chong family of Lytton. 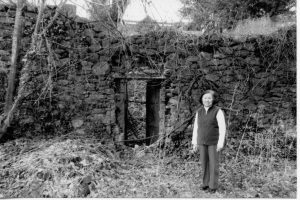 She follows these families through time, giving a rich sense of how they were an important part of local histories and how they adapted over time to changes in opportunity and possibility. Interestingly, Chow explains in Blossoms in the Gold Mountains why there has been such inconsistency in the anglicization of so many Chinese names in B.C., for instance how the On Lee family of Yale was actually part of the Jang family, but as with many other small town Chinese-Canadian families, they became known by the business name of their store rather than their own family name. In her earlier work, she also explained how famous British Columbians such as Alexander Won Cumyow and his son Gordon Cumyow acquired their family name in English from a clerk writing down Cumyow’s given name as the family name. This happened as well to C.D. 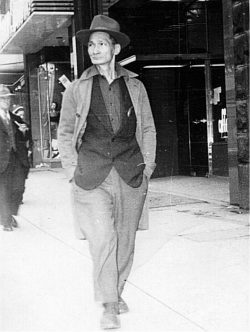 Hoy, the famous storeowner and photographer of Quesnel, whose proper name, Chow Dong Hoy, was rendered in Chinese order, with family name first, and by the alchemy of anglicization the surname Chow became Hoy. Chow establishes how what seems in English to be a confusion of names — Chow, Joe, Zhou, Chou — is actually the same Chinese family name, 周. The proliferation of variants was both the product of transliteration and the fact that different dialects of Chinese pronounce the same character differently, a good example being the family name 謝, spelled in the pinyin Romanization system of Mandarin Chinese as Xie, but which in the Toisan dialect of the majority of the migrants to B.C. was generally anglicized historically as Der or Deer, and in Hong Kong would generally be spelled as Tse, in Singapore as Chia, and in Shanghai as Sia. But the accuracy of names is not primarily what Lily Chow is after. This is a book about families and their lives in B.C., no matter what others called them. Peter Wing, the first Mayor of Chinese heritage elected in Canada (mayor of Kamloops, 1966-1971), was actually of the Eng family, but Chow’s larger purpose is to see him through the lens of his family and of similar Chinese-Canadian families that passed through multiple generations in their local communities. 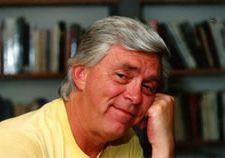 In this way, the stories of Chinese Canadians in Yale, Lytton, Kamloops, Vernon, Kelowna, and Armstrong are brought to life not as anomalies but in ways that explain why they were often respected citizens and community leaders. In Chow’s telling, it makes perfect sense why Peter Wing was elected mayor despite a long official history of anti-Chinese racism and legislated discrimination overall in B.C. 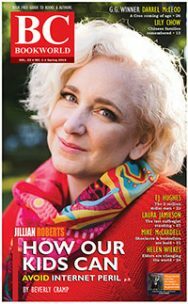 This has been the most significant gift of Lily Chow’s career of recovering and sharing with all of us, professional historians and curious British Columbians alike, the story of the Chinese in B.C. outside of the coastal cities. She has exposed to full view what a less inclusive history of our society once put blinders upon, and she has brought to light the unseen presence of those who were always there. Countering the over-generalizations of others, including scholars who insisted that the Chinese lived overwhelmingly in Chinatowns across Canada (in fact, in no historical period did the majority of Chinese Canadians live and work in urban Chinatowns), Lily Chow has shared her gift of conveying the importance of the Chinese in small town Canada. She has rescued the lives and work of the Chinese minority in these interior communities. Lily Chow provides an inclusive and accurate historical narrative that looks back in time just as we look forward and aspire to be a nation that derives strength and commonality from the diversity she reveals. I commend Chow for this gift of sharing a history that is both factually correct and an inspiration for a future of together living and working in peace. Henry Yu teaches history and is the Principal of St. John’s College at UBC. 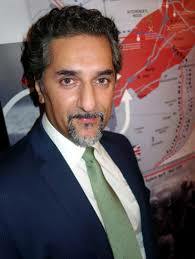 He received his BA from UBC and his MA and PhD in History from Princeton. 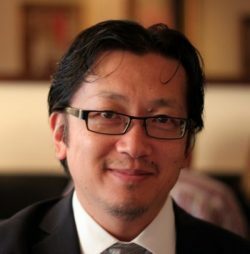 Yu’s research and teaching involves collaboration with local communities, and he was the Co-Chair of the Anniversaries of Change Committee that oversaw a year of cultural events, art exhibits, and civic dialogues marking the 100th anniversary of the anti-Asian riots of 1907 in Vancouver. Between 2010-12, Yu was the Co-Chair of the City of Vancouver’s Dialogues between First Nations, Urban Aboriginal, and Immigrant Communities Project, and the Project Lead for the “Chinese Canadian Stories” public education project. In 2015, Yu was appointed as the Co-Chair for the Legacy Initiatives Advisory Council following the province’s apology in 2014 for BC’s historic anti-Chinese legislation. He has received the Queen Elizabeth II Diamond Jubilee Medal and the BC Multicultural Award in recognition of his community based research and leadership.